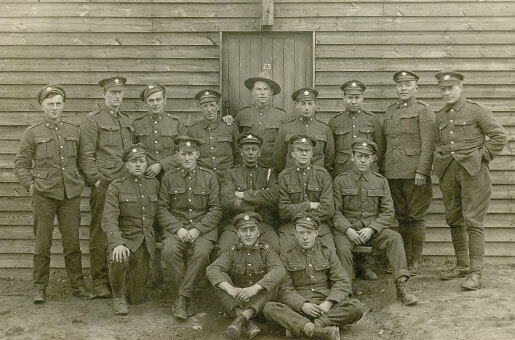 Private Donald Mainland (at bottom right) is pictured with members of the Fort Garry Horse. Fifty kilometres away, Donald’s twin brother Tommy was recovering from his second mustard gas attack. He had been overseas since September 1916, first with the 101st Battalion, then transferring to the 24th Victoria Rifles. In October, his unit was in France, heading toward the town of Aniche, north of Cambrai. Tommy was recovering quickly from the second gas attack just as he had from the first, and he felt the guilty relief of the natural survivor. 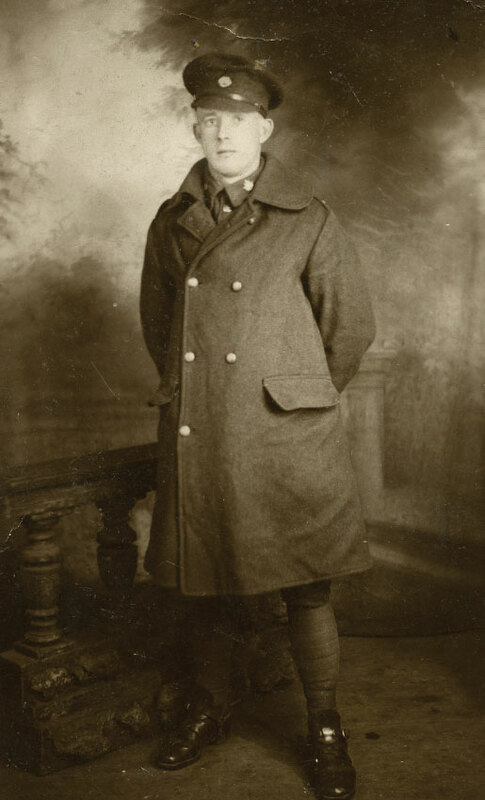 He had been the first of the two boys to enlist, in December 1915. Donald followed in June 1917. They were born in Sutherlandshire, in the north of Scotland, a part of the world with a long tradition of fighting—often among themselves if they couldn’t find a suitable enemy. They’d come to Winnipeg as boys and integrated easily into a culture that had a heavy Scots influence. They were both fine athletes, playing baseball in the Winnipeg baseball league, and soccer for Fort Rouge. In the winter they played hockey. Both boys worked for their father’s construction company where Donald learned his trade of bricklayer. After this public ruin, Peter immigrated to Winnipeg where he started building houses. In 1907, when business was slow, he cut a few corners and was arrested for “Obtaining Goods Under False Pretences” and served three months in jail. When asked about the whereabouts of their father, the boys were told to say, “He went off to college.” After the war started, business was slow once more. Goaded by their connection to Great Britain and by the lack of work in Winnipeg, the twins decided to enlist for overseas service. Perhaps they viewed it as redemptive, a way to get out of their father’s dark shadow, but maybe they just wanted to put some distance between them. War wasn’t the romantic enterprise they had imagined, but in the autumn of 1918 they were optimistic; it could end any day. Kaiser Wilhelm II had already been informed by the German Supreme Army Command that there was no hope of victory, though neither of the Mainland boys could have known this. On Oct. 4, the German government had sent a note to American President Woodrow Wilson suggesting the possibility of an armistice. Even the hawkish General Erich Ludendorff declared the war had been lost (though he would later reverse this position). A peace was slowly building, though it came too late for thousands of soldiers on both sides, including one of the Mainland twins. 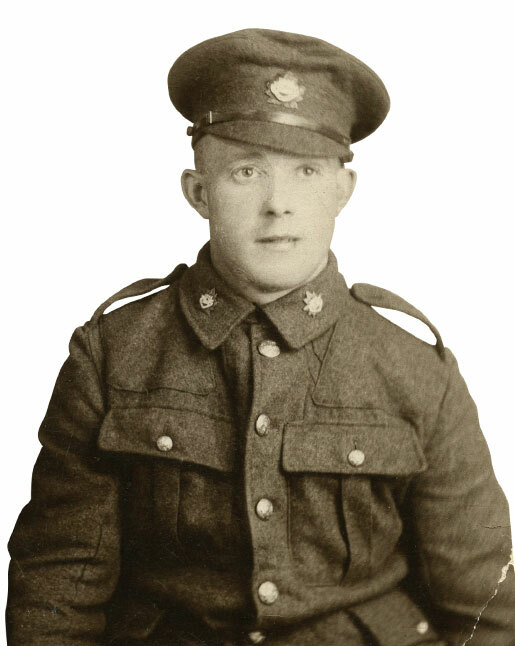 Private Donald Mainland enlisted in June 1917. This photo appeared on a postcard dated Sept. 27, 1918. 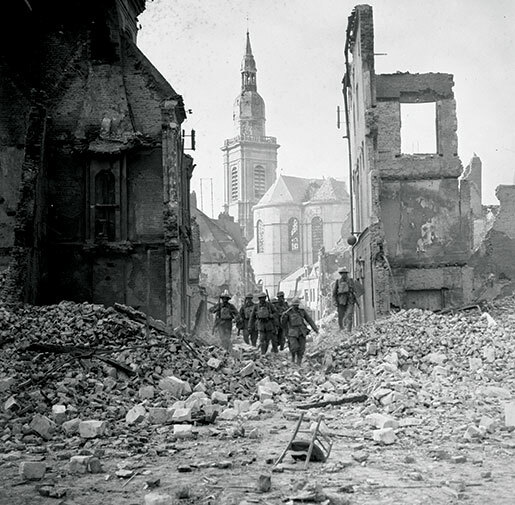 Canadian soldiers pick their way through the destroyed streets of Cambrai, France, October 1918. My grandfather spent his first few months of the war digging trenches near Main Street, in Winnipeg. He finally shipped out to England in February 1918, and by March he was in France. On March 23, Donald’s unit took up a position between Le Four Croix and the Faillouel-Villequier-Aumont Road. It was his first taste of trench warfare: rats, lice, disease and the percussive orchestra of shells; the shock every new recruit felt. On Aug. 10, during the Battle of Amiens, the Garrys were advancing up the Roye Road, heading for Hill 100. The cavalry couldn’t expand into the fields, which were blocked by trenches and barbed wire. So they galloped up the dusty road in a straight orderly line, perfect targets. 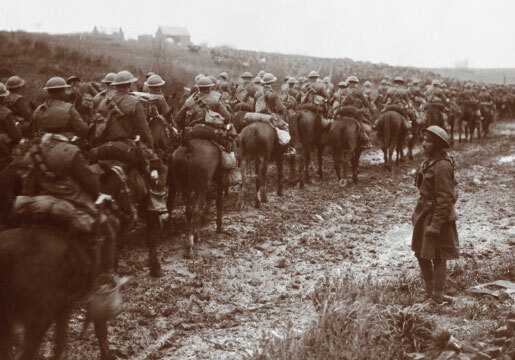 All of C Squadron was cut down by machine-gun fire as they rode along the road. Within minutes, horses and men littered the ground. The last rider died some 100 metres from the objective. After that catastrophe, the Garrys weren’t in action until Oct. 9, when they advanced on Gattigny Wood, south of Cambrai. That was the same day the Canadian Corps captured the well-known city. Troops are deployed within 1,000 yards of the enemy during the Battle of Amiens in France, August 1918. The Garrys, who were part of the Canadian Cavalry Bde. with General Henry Rawlinson’s Fourth Army, were supporting the advance to the Selle River. 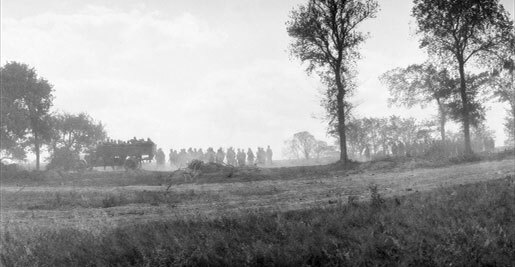 Allied pressure had, by then, forced the enemy to withdraw to the Hermann Line which in that area—opposite the Third and Fourth armies—ran from Valenciennes south to the village of Le Cateau. While retreating, the Germans left a series of rearguards which provided lethal resistance. On Oct. 9 the plan was to move forward astride the old Roman road which ran from the village of Maretz to Bavay. Sixth Cavalry Bde. would attack along the right side of the road while the Canadian Cavalry Bde. would advance along the left side. Leading the Canadian attack, with four machine guns and a battery of the Royal Canadian Horse Artillery, was my grandfather’s battalion. Gattigny Wood, which sat directly in front of the Canadians, was still in enemy hands. The German machine guns on the right flank were the responsibility of one squadron of the Fort Garrys which steadily advanced and drove the enemy back. The left side of the wood was attacked by another squadron which charged and killed the Germans with their swords in close combat. Meanwhile, a charge over open ground by the Lord Strathcona’s Horse protected the left flank of the Garry’s attack and cleared out the enemy near the town of Clary. Some 200 prisoners, a 5.9-inch howitzer and roughly 40 machine guns were captured. The commander of the British Cavalry Corps described it as “the best cavalry action carried out by any cavalry unit on any front during the war.” Though by this late point in the war, what defined a successful cavalry attack was a relative term. This last bloody demonstration of 19th-century warfare came at a point when almost a million horses and hundreds of thousands of cavalrymen had been lost. A squadron of the Fort Garry Horse passes a village, February 1918. The Garrys were able to advance up the road and capture the village of Maurois, even before orders were relayed to capture it. The Germans, however, still had a lot of fight left in them. There were desertions and doubt, but there were also pockets of fierce resistance. On Oct. 15—the day the Allied advance had forced the German Fourth Army back across the Lys River—my grandfather was scrambling for cover. He was hit by two bullets, one in his right thigh, and the other on the left side of his chest, near his heart. He lay on the field, bleeding, unable to move. Machine-gun fire continued above him. Around him, the crisp French autumn lingered, the perfect season. The end of the war was at hand—everyone said so. They would be home by winter. Fifty kilometres away, his twin brother, Tommy, was moving toward Aniche with the Victoria Rifles. During his first month in the military, he forfeited a week’s pay for being absent without leave. Two months later, he forfeited another two days pay for the same offence. A wiry young man with a wild streak, he was restless for action. A lot of men were, until they finally saw it. He arrived in France in September 1916. Ten months later, in a trench that bore no resemblance to the dry troughs he’d dug in Winnipeg, he heard the Strombos horn sound, warning of a gas attack. The Germans had become better at deploying poison gas, waiting for the right winds. The heavy gas stayed close to the ground and poured into the trenches. The bugles and gas alarms only gave a few minutes warning, often less, and Tommy was able to get his mask on, but he still needed to be taken to the field hospital to recover from the poisonous chlorine. He noticed that the brass buttons of his uniform had turned green. 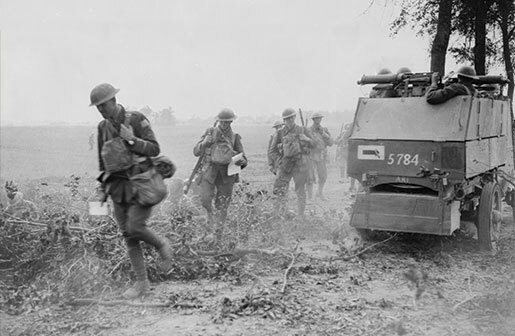 An armoured car equipped with machine guns supports soldiers near the front. Tommy was gassed again in 1918, but recovered once more. While his brother was lying on the uneven ground not far from the town of Inchy, Tommy was moving north and east, following the retreating Germans. He hadn’t heard anything about Donald, despite their proximity. By Nov. 8, the 24th Bn. was at the village of Dour, some 12 kilometres west of Mons, Belgium. The fall weather was perfect and the men were awaiting orders. Peace, they had heard, would arrive within days. There was a mood of quiet celebration, and they organized a soccer game between the 24th and the 25th battalions. Those moments, playing in the late autumn sun, may have been the happiest of Tommy’s three years in France. The exhilaration of a game he played well, the sense that home was close. Playing on that muddy field, surrounded by the recent destruction of war, France finally held a sense of promise rather than the death and ruin that he had witnessed. But they were soon in action, moving east, pursuing a retreating enemy that was unsure what its role was. Some of the German infantry surrendered and there were mutinies in the ranks. But there was still intermittent shelling from the retreating Germans, who were unaware that their leaders, both military and political, had already conceded defeat among themselves. On Nov. 10 there was a church service at Petit Wasmes, a rare Protestant church, and Tommy attended. He had been raised as a Presbyterian though had drifted somewhat, but he sat in the stone church and prayed with the rest. They all prayed for the same thing—that they would wake up the next morning to peace. They did, though it wasn’t as simple as that. While Tommy was praying in the Petit Wasmes, the Allied Supreme Commander Marshal Ferdinand Foch and his chief of staff General Maxime Weygand were sitting in a small stone church at Rethondes, to the south, meditating on peace as the German negotiators looked over the terms. 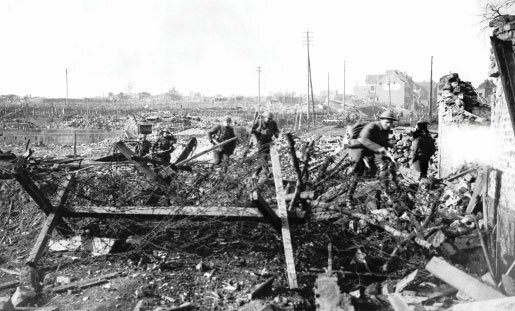 Canadian soldiers on the outskirts of Valenciennes, France, November 1918. The German negotiating team had arrived at the Forest of Compiègne on the morning of Nov. 8, and consisted of Matthias Erzberger, a politician, Major-General Detlof von Winterfeldt and a few others. There was little room to negotiate. A sailors’ revolt, which had begun on Oct. 29 in Kiel, had spread across the city then the country. Kaiser Wilhelm II was on the verge of abdicating (and did so the following day, on Nov. 9). And Germany’s Chief of General Staff Paul von Hindenburg had stipulated that the armistice be signed, even if better terms couldn’t be negotiated. At first it wasn’t clear what the terms were. When the Germans took their seats at the large table in Foch’s elegant private railway car, Foch asked Erzberger why he was there. Surprised, Erzberger replied that he was there to listen to the Allied proposals for peace. Foch said he had none. After some confusion, Foch said the Germans first had to ask for an armistice, then Foch would dictate the terms. Erzberger did ask for an armistice, and Weygand outlined the terms. Erzberger asked if they could declare a ceasefire while they were negotiating. He had to report back to the German government and it would take time and in those 72 hours thousands of lives would needlessly and certainly be lost. Foch wouldn’t agree to a ceasefire and said the deadline for a German response was 11:00 a.m. on the 11th. At 2:05 a.m. on Nov. 11, Erzberger said they were ready to sign. It took almost three hours to go through the terms. A few minor changes were made (the number of machine guns and aircraft the Germans were required to surrender was slightly reduced) and at 5:10 a.m. he signed. Ten minutes later news of the peace was broadcast from the radio station in the Eiffel Tower. Paris woke to a cold rainy day, but the city quickly filled with joy, though many of its citizens stuck with the original deadline of 11:00 before it was official. There was that symmetry—the 11th hour of the 11th day of the 11th month. But at that moment, in the pre-dawn gloom of a French forest, the war was effectively over. There was still that limbo though, those six hours. It was a destructive stretch, even by the horrific standards of the first modern war. On Nov. 11 the American Expeditionary Forces on the Western Front suffered more than 3,500 casualties. 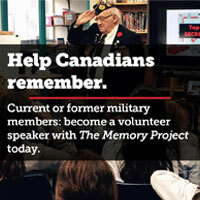 The Canadians, British and French added thousands more. Altogether, there were almost 11,000 casualties on both sides, more than D-Day in 1944. The key difference was that the lives lost on D-Day were sacrificed to further the war effort. Those lost on Armistice Day were arguably the most futile in a war that would come to define futility as much as bravery. After the war, a congressional subcommittee was formed to find out why there were so many American casualties on Armistice Day given that the military leaders knew peace was at hand. Why risk the lives of men to take ground they could simply stroll to in a few hours? There were accusations of careerism—that ambitious officers had sacrificed their men to pad their records. In the end, it came to General John Pershing, the leader of the American forces, to offer a dismal testimony that would be echoed a few decades later: he was following orders, in this case, those of Foch, who had instructed the Allies to pursue the retreating Germans with “a sword at their backs” until the final minute. The morning of Nov. 11th was rainy and cold in northern France, the sun obscured. The grey wasted fields blended with the sky. Tommy Mainland was in his trench. It was mid-morning and peace was upon them. Tommy climbed to the lip of the trench to scan the grey landscape. Perhaps he wanted a last glimpse of the battlefield. Three years of his life had been spent in battle. He had survived two gas attacks and countless close calls, had seen friends die beside him. Maybe he was thinking of home, the clean snow already covering Winnipeg. A sniper’s bullet hit him in the chest, knocking him backward; a German sharpshooter who must have been lying in wait, scanning the horizon for his final target to present himself. Tommy was taken to a field hospital where he was listed as “dangerously ill.” By the time he got there, the news had arrived almost everywhere at the front: the war was over. Tommy lay in his bed for four days, pondering the irony of his years as a soldier, his recklessness, his charmed existence—only to end like this; gravely wounded after peace was declared, though still not formally recognized. He died on Nov. 15. My grandfather, Donald Mainland, survived his two wounds. He was first taken to a stationary hospital in Rouen, France, then transferred to Birmingham, England. He was discharged in January 1919 and came home alone. He had lost his twin, the closest thing to himself. Donald understood the war to be a matter of luck and fate—a bullet missing by centimetres, a sudden shift in winds that carries the poisonous gas away, a machine gun jamming, an arbitrary moment chosen for peace to be declared. Back home, Donald worked as a bricklayer, first in Detroit, then in Winnipeg where he built the home that he and my grandmother lived in. He never spoke of the war. My father said that when he asked Donald about his experience in France, he would deflect the question with a joke. His wounds plagued him throughout his life. Eventually, he was unable to work. Two months after I was born, he was watching the Edmonton Eskimos play the Montreal Alouettes in the Grey Cup. He was a Westerner and when the West clinched the game—the result of last minute heroics from Jackie “Spaghetti Legs” Parker—my grandfather suffered an angina attack. He survived, though died of a heart attack five months later. 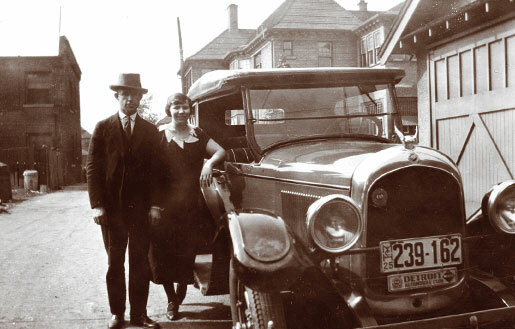 Donald Mainland and his wife, Georgina, pose proudly beside their car in Detroit. His experience of the war died with him. I have several photographs of him. In one he and my grandmother are standing beside a car in Detroit. He’s wearing a three-piece suit and a hat. It was the early 1920s and they have the optimism of that decade. Another photo shows him in the kitchen, with Donald comically raising a rolling pin as if to hit my grandmother, a caricature of domestic strife. Private Donald Mainland in a London studio before his deployment to France. The most striking photograph was taken in Valentine’s photography studio in London, England, in 1917. He is standing in front of a mural that features a dappled grey sky. There is a small stone ruin beside him, two pillars still standing. Donald is wearing his greatcoat with his hands behind his back. The photograph is laminated onto a postcard; something to send home. It was a romantic evocation of a battlefield, designed to impart a sense of nobility and suggest that the subject had heroically survived. A backdrop created for those on their way to battle, not those returning from the horrific, too often meaningless slaughter.